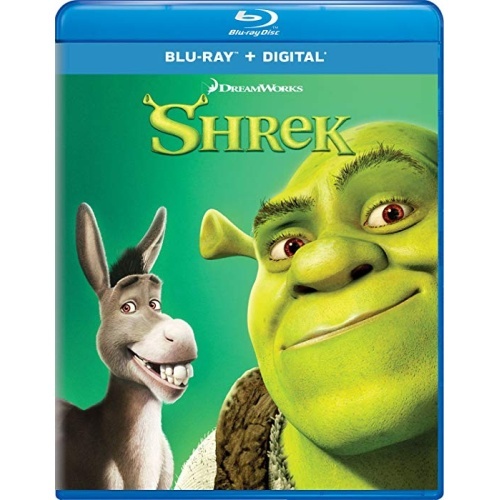 You've never met a hero quite like Shrek, winner of the first Academy Award for Best Animated Feature. The endearing ogre sparked a motion picture phenomenon and captured the world's imagination with…the Greatest Fairy Tale Never Told! Critics have called Shrek "not just a brilliant animated feature, but a superb film on any level" (Larry King, USA Today). Relive every moment of Shrek's (Mike Myers) daring quest to rescue the feisty Princess Fiona (Cameron Diaz) with the help of his loveable loudmouthed Donkey (Eddie Murphy) and win back the deed to his beloved swamp from scheming Lord Farquaad (John Lithgow). Enchantingly irreverent and "monstrously clever" (Leah Rozen, People Magazine), Shrek is an ogre-sized adventure you'll want to see again and again!